The number of reported security incidents rose 48% to 42.8 million for 2014, the equivalent of 117,339 attacks per day, a recent survey shows. According to the Global State of Information Security Survey 2015, a worldwide report by CIO, CSO, and PwC, the compound annual growth rate of detected security incidents has increased 66% year-over-year since 2009. 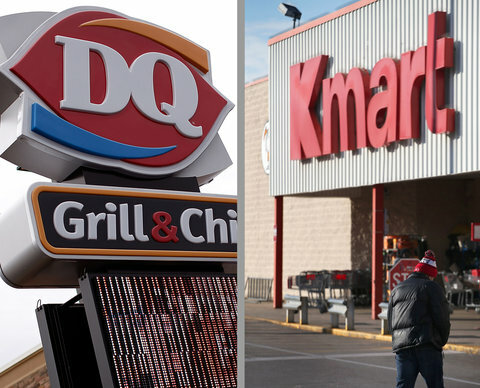 Dairy Queen and Kmart join nearly a dozen retailers that have had their in-store payment systems compromised with malware over the last year. In the latest cyberattack on American retailers and restaurants, both Sears and Dairy Queen said their computer systems were compromised in security intrusions involving customers credit and debit card information. The recent attacks on Home Depot and JPMorgan are only the latest in a long-running series of data hacks. And while the number of records taken from Home Depot is yet to be disclosed, estimates indicate that the breach may be "massive." Hackers exploited an employee password to crack a JPMorgan Chase & Co. (JPM) server and ultimately pull off one of the largest cyber-attacks ever, accessing data on 76 million households and 7 million small businesses. JPMorgan, the largest U.S. bank, outlined the scope of the previously disclosed breach yesterday, reassuring clients theres still no evidence account numbers and passwords were compromised, even as names and contact data were exposed. An Imperva report says web attackers target retailers more often than financial institutions. Retailers represent the main target of web attacks, beating financial institutions, according to a new analysis from Imperva. The data security firm bases its findings on a study of attacks against 99 web applications protected by the companys firewall technology. The attacks took place between Aug. 1, 2013, and April 30, 2014. Imperva finds that 48.1% of those attacks targeted retail applications. In second place were financial institutions, at 10.0%.